By way of reminder we have summarised below employment related changes taking effect this month. Shared Parental Leave (SPL) and Shared Parental Pay (SPP) provisions will apply to eligible parents of children due to be born (including through surrogacy arrangements) or placed for adoption on or after 5 April 2015. The aim of SPL is to enable eligible mothers, fathers, partners and adopters to choose how they share time off work to look after their child. As a result, additional paternity leave was removed and replaced by SPL. If you have any further queries on SPL, please feel free to contact us. The requirement for 26 weeks’ service before employees become entitled to adoption leave has been removed from 5 April 2015. There will also be the introduction of a new right for both single and joint adopters to attend adoption appointments together. Statutory Adoption Pay will also be payable to the primary adopter at an enhanced rate of 90% of their average earnings for the first 6 weeks of adoption leave. This will bring adoption pay in line with Statutory Maternity Pay. Fostering rights will change as the Provisions of the Paternity and Adoption Leave (Amendment) Regulations 2014 come into force. Individuals fostering a child under the “Fostering for Adoption” scheme run by local authorities will have enhanced rights in relation to fostering leave. This change will bring fostering leave in line with adoption leave. The Shared Parental Leave and Paternity and Adoption Leave (Adoptions from Overseas) Regulations 2014 and the Statutory Shared Parental Pay (Adoption from Overseas) Regulations 2014 came into force on 5 April 2015. These aim to include couples who are adopting a child from outside the UK in the right to SPL and SPP. The limit on “a week’s pay” for the purpose of calculating statutory redundancy payments and basic awards for unfair dismissal claims increased from £464 to £475. The maximum basic award for unfair dismissal tribunal claims/statutory redundancy payments rose from £13,920 to £14,250. 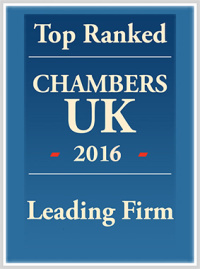 The maximum compensatory award for unfair dismissal tribunal claims increased from £76,574 to £78,335. The maximum award is the lower of £78,335 or 52 weeks’ pay. Statutory Sick Pay has increased from £87.55 to £88.45 per week from 6 April 2015 along with Statutory Maternity Pay, Statutory Adoption Pay, Statutory Paternity Pay (Ordinary and Additional) which increased to £139.58 per week from 5 April 2015. Compulsory reporting on the gap in pay between male and female employees is to be implemented within 12 months of the Small Business, Enterprise and Employment Bill coming into force. There has been no indication of when this may be at the time of writing. The power to require larger employers to report on their gender pay gap is already set out in section 78 of the Equality Act 2010 but has never been implemented. This compulsory reporting is applicable to businesses with over 250 employees. In light of the recent ET decision in the Lock v British Gas case (confirming commission should be a consideration in relation to the European Working Time Directive element of holiday pay) we have updated our Q&A document which can be found here.